Never thought I'd say this. Never thought I'd have to say this. 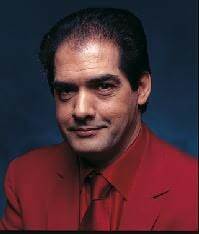 Philip Kerr needs to take another extended break from Bernie Gunther, his series of detective novels set during the rise and fall of the Nazis in Germany. Gunther is a private detective. He's a former cop who left the force (forced out?) because he became sickened by what the Nazis were doing to his city, Berlin, his country, Germany, and its people, especially the Jews. The eighth novel in the series, Prague Fatale (Putnam, 2012), was published late last fall in the UK, and will be published on April 17th in Canada (I read the UK edition which I got from overseas). It is, I'm sad to say, the only failure in this series of books. Kerr does bring some twists to Prague Fatale – the level of fear and violence is so much more highly elevated than in Christie's legendary genteel murder mystery – but it ends up playing exactly like a Christie book. The whole plot, except for a brief bit at the beginning and at the end, is set in 1941 and takes place over the duration of a weekend. Gunther has been temporarily brought back into the Berlin police department not because anybody likes his outspoken anti-Nazi commentary, but because some Nazi higher ups, particularly Reinhardt Heydrich, admire Gunther's skills as a detective. In Kerr's world, if a non-entity such as Gunther is championed by someone like Heydrich you are considered to have “Vitamin B,” basically untouchable. He is recruited by Heydrich to come to Prague to act at first as his bodyguard in a beautiful old home outside of the city. Heydrich, for those who don't know, was considered one of the most ruthless of all Nazis. He was the main architect of the Final Solution; he ordered the November 1938 Kristallnacht (night of broken glass) attack where Jewish businesses were defaced and destroyed throughout Germany and Austria; and when he was posted to Prague, his nickname was “the Butcher of Prague.” Gunther knows most of this, but keeps it to himself (but telling us through his narration). Yet, Gunther is a survivor and so he accepts the invitation to spend the weekend at Heydrich's confiscated villa (it was stolen from a wealthy Jewish couple). The next day, one of Heydrich's adjutants (assistants) is found murdered in a room locked from within. 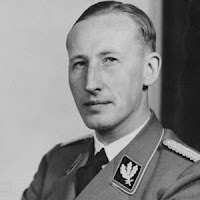 So, as with the Christie novel(s), Heydrich insists that Gunther solve the killing and gives him carte blanche to say anything to any of the people who were in the house when the killing occurred, including many high-ranking officers – many of whom outrank Gunther (he's a Captain when he is brought back in to the force). I don't know if Kerr was bored, or if he honestly wanted to pay tribute and play around with the Christie style of mystery (that's what I meant when I said earlier I understood this book intellectually – though that may be the problem here; it's an exercise more than a novel). Whichever it is, he's mostly failed. In fact, the only time the novel comes alive is in the final 50 pages, after the mystery has been solved and Heydrich's real reason for bringing Gunther to Prague is revealed. Then, the true ferocity of the physical, as well as psychological, violence the Nazis practised is brought home. Even here, though, there is a flaw. Kerr, tiresomely, decides to make an equation between the Nazi torture methods and the ones the Americans supposedly used at Guantanamo Bay (namely, waterboarding). News flash, Philip: The Americans aren't fascist and their government can't begin to touch the horror the Nazis perpetrated. 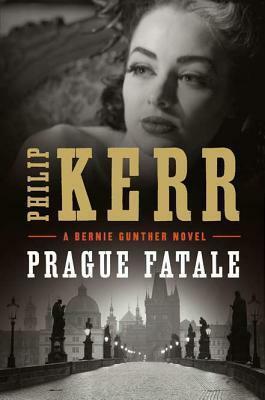 I hope that after Prague Fatale, Kerr decides to take another breather before he writes another Bernie Gunther effort. I can easily foresee one, maybe two more because, if he continues to pursue the same trajectory he was playing with in books one through seven, there is still plenty of unfinished business left in Gunther's story. And Kerr can tell it well. Of that, I have no doubt. 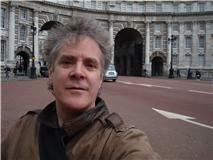 But perhaps this was a breather/contractual obligation. He certainly hasn't destroyed Gunther for me with Prague Fatale; it's just that I have always held these novels to a pretty high standard. And he simply failed to come close to the pinnacle this time.